Gov. 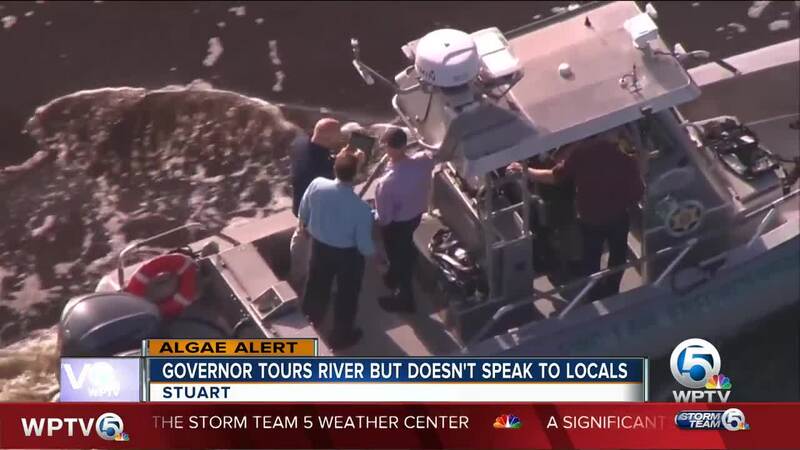 Rick Scott toured the St. Lucie River and areas affected by algae Friday morning but did not take questions from the media or the public. 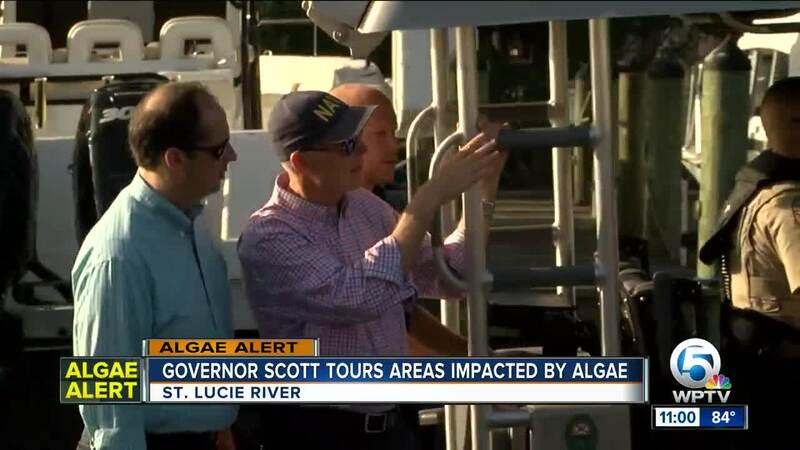 Scott visited several of the areas heavily-impacted by algae including Shepard Park in Stuart, Central Marine in Rio and Leighton Park in Palm City. The governor's office said in a written statement Friday the state is providing $700,000 in funding to Martin County to help clean up algal blooms. The funding is part of a $3 million grant program directed by Governor Scott through the emergency order he issued last month. There were many activists in Stuart eager to try and speak with the governor but were disappointed they didn't get the opportunity. "Over and over again he's had opportunities to come and hear us, the people that live here, the people that the water is affecting, and he seems to run it away from it. He's our governor. I thought that was his job," said Rebecca Fatzinger, a resident of Rio. Martin County leaders said they plan to start cleaning up some of these areas impacted by algae as early as next week. Last month, Scott toured the Caloosahatchee River and areas on the west coast of Florida affected by water discharges from Lake Okeechobee. 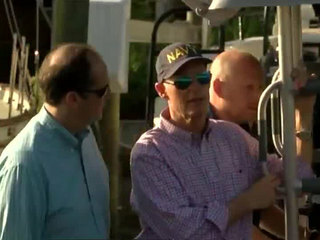 He also visited the South Florida Water Management District in June. 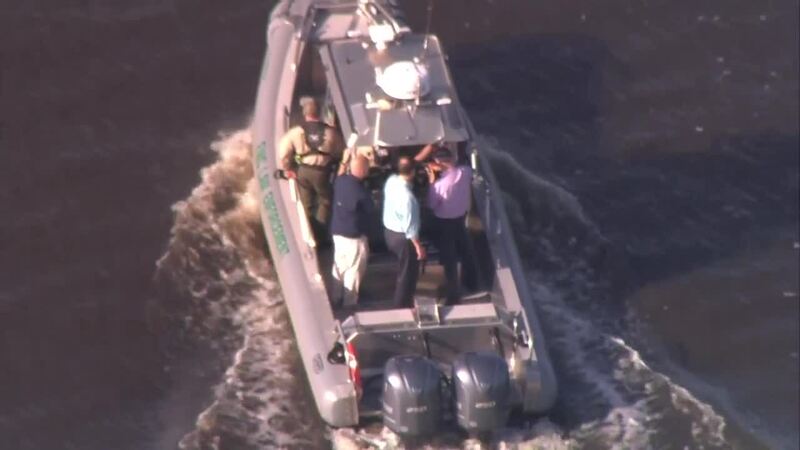 The Governor speaks with members of the media and Florida families every day and has spoken with concerned Floridians and members of the media on both coasts in the past several weeks on this very issue. We always welcome public input through our office and will continue to work directly with local partners to do what's best for the families in our state. As you know, Governor Scott has taken multiple actions on this recently. I've attached advisories and releases for your reference.